A subscription to AntiSocial allows you to monitor an unlimited amount of devices. The device management screen allows you to rename devices, remove devices or add another device and can be accessed as shown below. When on the dashboard press on the person icon and this will open the devices menu. 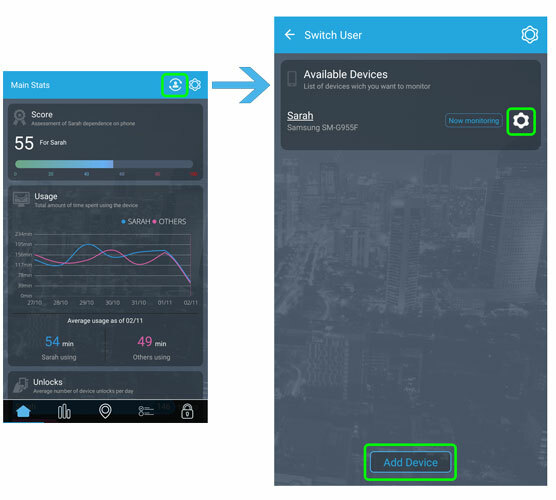 In here you can switch devices, unpair a device, change the name of a device or add a new device.